Interlocking woodworking joints are designed to ensure optimum contact area between components, so that they bond well with adhesive. 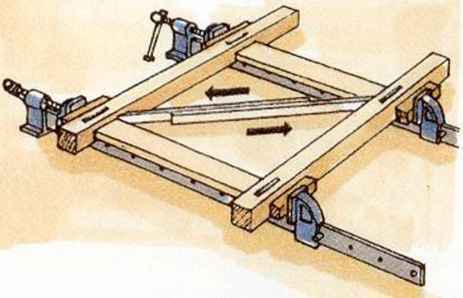 A well-cut joint requires the minimum of clamping pressure, the main purpose of using cramps being to help assemble the workpiece and hold the parts together while the glue sets. It is always useful to have plenty of cramps available, but pairs of each type in a couple of sizes should suffice. Complete sets of cramps are relatively expensive, but you can acquire them over a period of time or hire them as required. Fast-action cramps are designed for speedy adjustment to fit the size of the work. 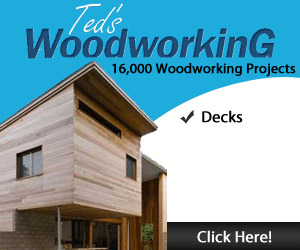 Various versions are available. The sash type has two movable jaws, one of which is also screw-adjustable. On the smaller version of the cramp, only the screw-adjustable jaw is movable. 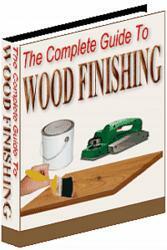 A lightweight cramp has wooden jaws with a cam-action that provides clamping force. A traditional cramp with wide wooden jaws that can be set to apply even pressure over a broad area. 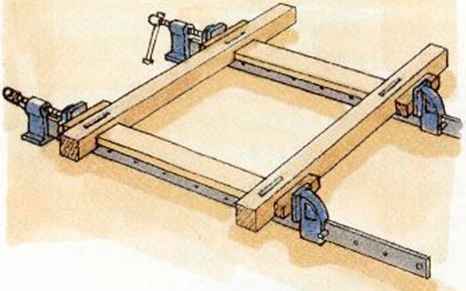 A handscrew is particularly useful when assembling out-of-square frames or for clamping tapered workpieces. 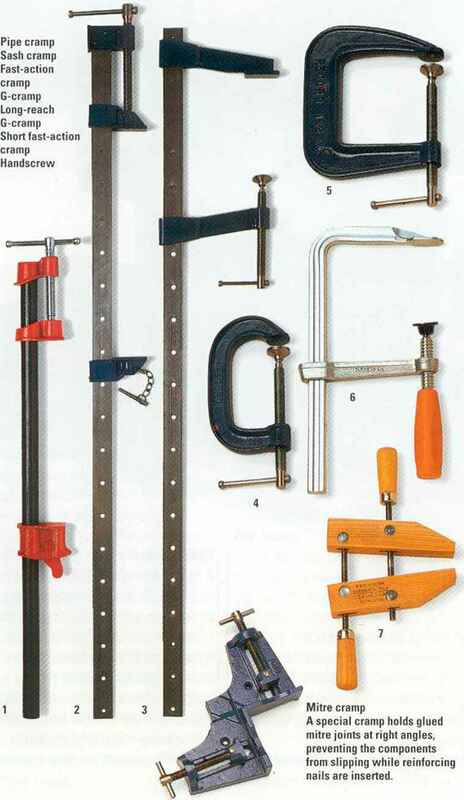 Sash cramps are used for assembling large frames, panels and carcasses. A sash cramp has a screw-adjustable jaw attached to one end of a flat steel bar. To accommodate assemblies of different sizes, a second movable jaw slides along the bar and is secured at the required position with a tapered steel pin, that passes behind the jaw into one of a series of holes in the bar. The cramps range from 450 to 1200mm (1ft 6in to 4ft) in length. 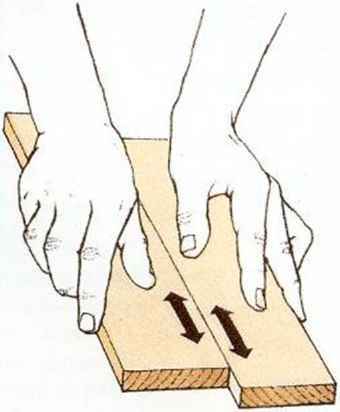 The G-cramp is an excellent general-purpose cramp that is often used to hold wood to a bench while you work on it. Usually made from cast iron, the frame forms a fixed jaw. Clamping force is applied by a screw, fitted with a ball-jointed shoe. G-cramps are manufactured in many sizes. Similar in most respects to sash cramps, the jaws are attached to a length of round steel pipe. A special cramp holds glued mitre joints at right angles, preventing the components from slipping while reinforcing nails are inserted. Where can i find cramping machine? How to join a joint with sash cramp and pictures?